The top 5 questions your Podiatrist gets asked. So….why did you choose to work with feet? The world of Podiatry is more than you may think! A large portion of people associate Podiatry with cutting nails and removing calloused skin, but there’s a lot more to it. While we enjoy offering our clients general skin and nail care, we also treat a large range of musculoskeletal injuries, manage clients with ‘high risk feet’, injury prevention, and so much more! What are the best runners for me? The marketplace for runners is bigger than it’s ever been, and it can be difficult to know what to look for. Runners come in all shapes and sizes with each serving a different purpose. There are shoes for walking, running, netball and everything in between! The short answer is, the perfect runner is different for each person. After completing a thorough biomechanical assessment, your Podiatrist will be able to offer a number of shoe options that will best fit your feet, and lifestyle. Will tea tree oil fix my fungal nails? We often hear from patients that they’ve been using tea tree oil to get rid of their fungal nails, but does it really work? There is limited research to suggest it has any effect on the nail fungus, and it might just be doing more harm than good! Tea tree oil is a volatile oil, when exposed to light and oxygen it can become quite potent. Often older bottles of tea tree oil left around the medicine cabinet can cause burns, contact dermatitis and can even cause an infection when in contact with a wound. How do I get rid of this ingrown nail? Ingrown nails are something that we see often at Pro Feet Podiatry, and we know how painful they can be. Ingrown nails can present due to a number of reason including cutting your nails too short, wearing tight footwear, trauma to the nail and genetics. The good news is they can be easily treated by your Podiatrist! Treatment may consist of conservative management to remove the unwanted nail spike and reduce inflammation. If conservative management isn’t an option, a walk in and walk out procedure might be better suited to remove that nasty ingrown nail for good! 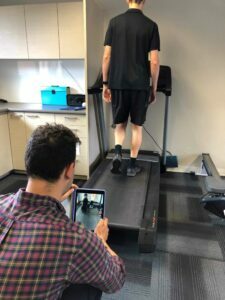 Are prefabricated orthoses as good as custom orthoses? We are often asked about the effectiveness of orthoses purchased over the counter at your local pharmacy, and if they are as good as the custom devices we prescribe. Over the counter, or prefabricated orthoses, are a generic design made to fit the average foot. While they do have there place in treatment, unfortunately, they are not designed to fix specific injuries. Custom orthoses are exactly that, custom! They are designed to fit your unique foot, biomechanics, and targeted to help with your particular injury. After a thorough biomechanical assessment, your Podiatrist will be able to determine firstly if you require an orthotic device and secondly what features it will require. If you have any specific questions, please feel free to email me, andrewgraham@profeetpodiatry.com.au, or make an appointment with myself or any of our team members at Pro Feet Podiatry on 1300 937 573.